Get ready for some fun in the sun with this trendy patterned tote bag. Personalize it with your own custom text to give it a one of a kind look. This reliable canvas tote will serve as the perfect it pool bag, snack bag, craft bag, or whatever you want! 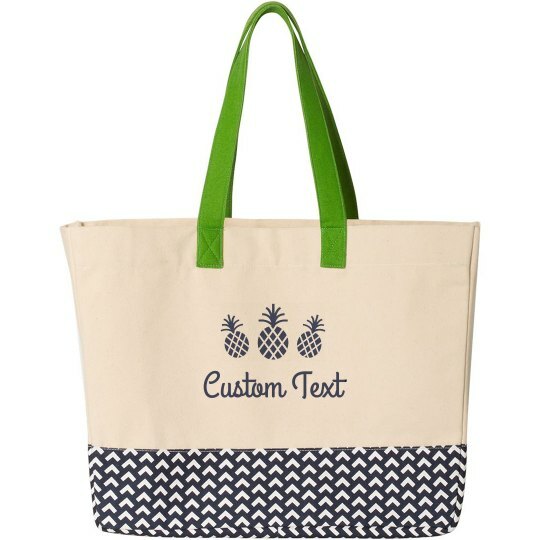 The cute pineapple graphic makes it a great choice for summer activities.